We stayed at Renaissance Shanghai Zhongshan Park for the next 3 nights using my Marriott rewards points. Spending your Marriott rewards points in China is a perfect way to maximize your points and here are the reasons why. 1. 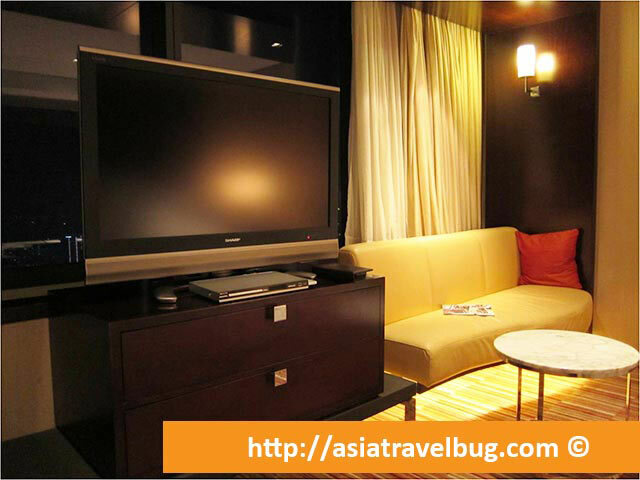 Marriott chain hotels in China and Asia are relatively newer and more luxurious than those in North America. 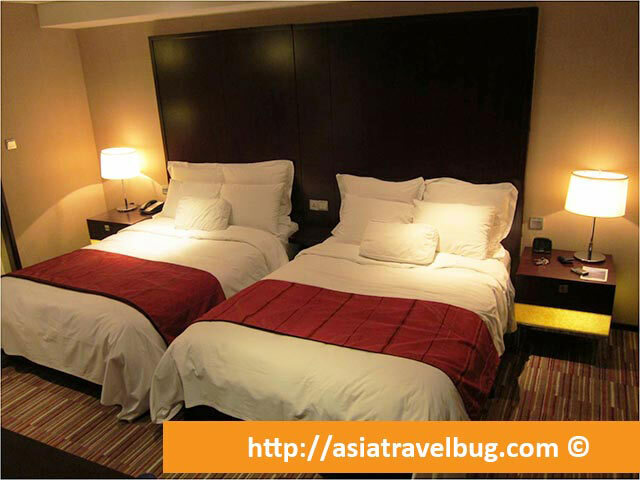 I have stayed at a number of Category 6-7 hotels in North America and the quality of rooms there are not as good as the rooms in Renaissance Shanghai Zhongshan Park, a Category 3 hotel in China. 2. There’s wide availability of luxury hotels in China below Category 5. These hotels are not located in suburbs but are right smack in the city center of major cities like Beijing and Hangzhou. This is a perfect way to spend your free night certificate earned from Marriott Reward Mega Bonus promotions. 3. You get free internet in majority of Marriott chain hotels in Asia by just being a member of Marriott Rewards. No need to be Silver, Gold or Platinum. We arrived at Renaissance Shanghai Zhongshan Park Hotel in the morning and our cab driver found it easy to locate our hotel. Well, anyone can easily spot this hotel from a distance. This hotel is actually the highest Renaissance hotel in the world. The hotel occupies the 30th to 60th floor of an office building. 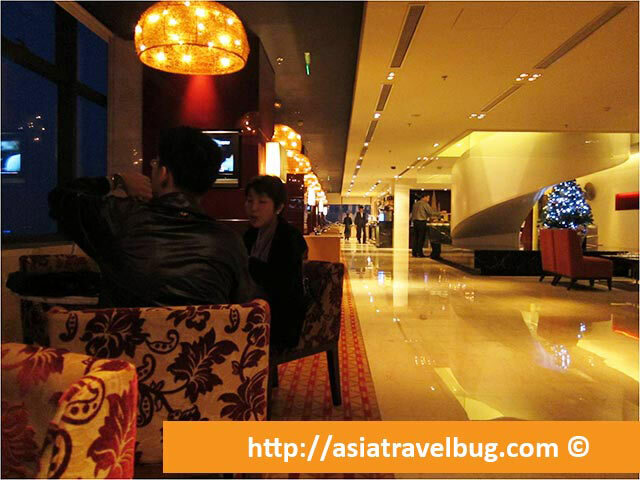 The lobby at the 30th floor is bright and we loved its expansive Shanghai city views day or night. 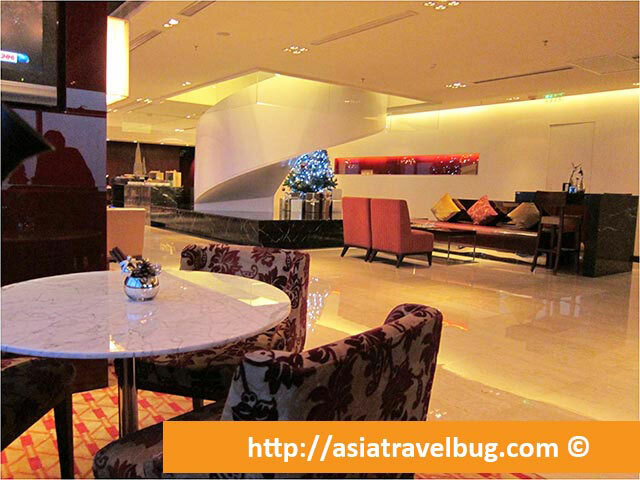 The service we received from Renaissance Shanghai Zhongshan Park Hotel was quite good. We were allowed to check in to our executive room as early as 10:30 AM with no questions asked. The staffs manning the hotel were quite attentive. The hotel also provided me with not just one, but two birthday cakes for my birthday which was a very nice surprise. The hotel truly made my birthday in Shanghai very memorable. The only downside of the hotel’s service is that the staffs are not that fluent in English. We had a some trouble during our check-in due to language issues with the front desk staff unable to understand us. In the end, the hotel manager was called and the problem got solved in no time. 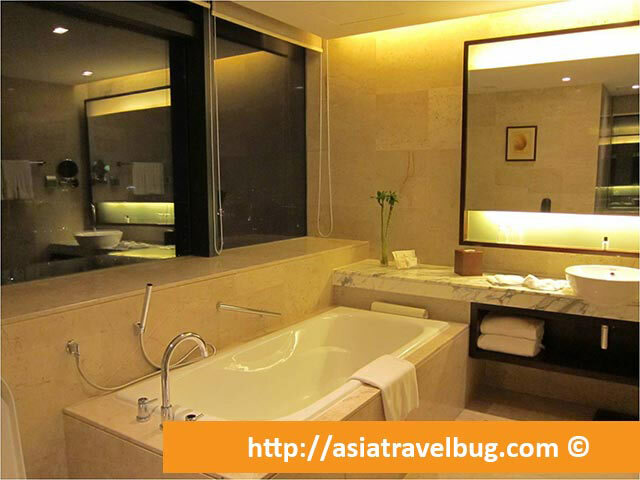 Renaissance Shanghai Zhongshan Park Hotel is truly a gem among thousands of hotels in Shanghai! The location is super convenient, just above a big mall and right smack in metro line 2-3-4 junction. Although not walking distance to any tourist spots, the hotel is just 4 stops away from People’s Square, 5 stops away from East Nanjing Road and 6 stops away from Luijiazui, Pudong. From Renaissance Shanghai Zhongshan Park Hotel, you can go to any major Shanghai tourist spots in less than 20 minutes via subway. Tourists may want to stay somewhere near Nanjing Road, but the downtown Nanjing Road is just too chaotic and cramped with local tourists. Renaissance Zhongshan is tucked away from the hustle and bustle of downtown, yet provides 5-star accessibility due to its prime metro junction location. We booked a deluxe corner room with executive lounge access. The room rate is a bit on the high side relative to other hotels in China but staying in the Renaissance Shanghai Zhongshan Park Hotel is an excellent value for money. The upgrade to executive is highly recommended and is well worth it! Our deluxe corner room is huge with 2 double beds with sweeping city views. The beds were quite good but could have been more comfortable if they had higher thread count sheets. Our room felt very spacious for the three of us. There’s even a small 2 seater sofa in the corner of the room. We loved the sweeping Shanghai city views right from our own room in 41st floor. I can still vividly remember that we woke up one morning to see clouds enveloping the windows of our room. The bathroom is also huge with a separate shower and bathtub. Breakfast in Azur Restaurant of the hotel is something to look forward every morning. The buffet spread is a feast with mostly Chinese and Western cuisine. The bi-level executive lounge in Renaissance Shanghai Zhongshan Park Hotel is impressive and is one of the biggest hotel lounges I’ve seen, even bigger than the Marriott I’ve been to. The lounge felt very cozy at night and had good expansive views. There’s even a telescope provided near the window and I took a peak to see the amazing sky scrapers of Shanghai. The second level was where we spent most of our time on. It has a more private feeling than the first floor of the executive lounge. There’s also a business center in one corner with computers available for use. Food and drinks during breakfast and evening cocktails are plentiful and top notch. The chicken quesadilla and honey glazed pork spareribs should not be missed during the evening cocktails! Overall, my stay in Renaissance Shanghai Zhongshan Park Hotel is exceeding expectations and I would highly recommend this hotel to anyone for pleasure or for business. 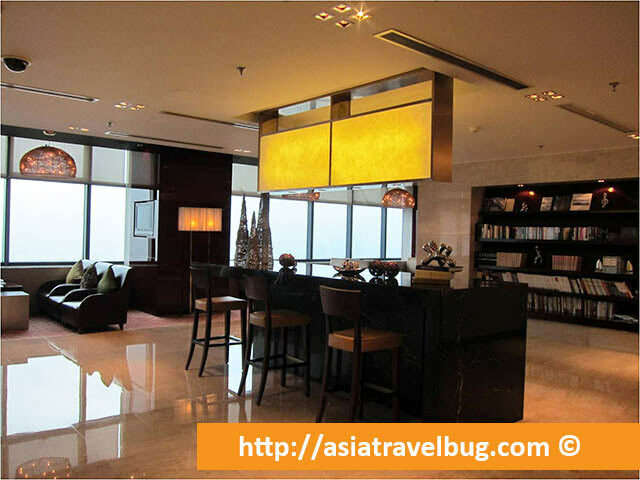 Interested to stay in Renaissance Shanghai Zhongshan Park Hotel? Get the best prices from over 100 travel sites in one click here. 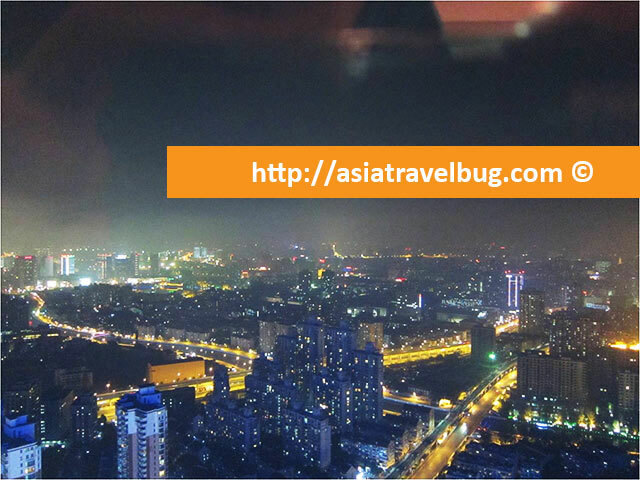 Looking for a another place to stay in Shanghai? Search smart and travel better with Asiatravelbug. 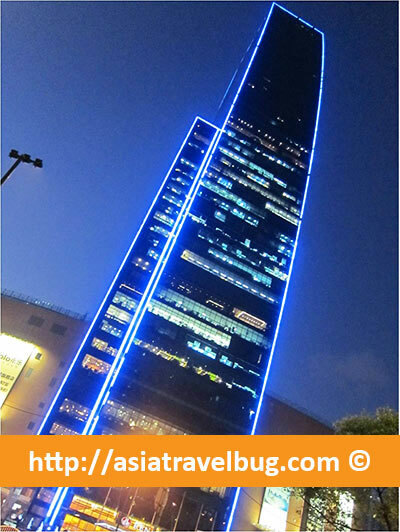 Search for Shanghai hotels from over 100 sites in one click here.